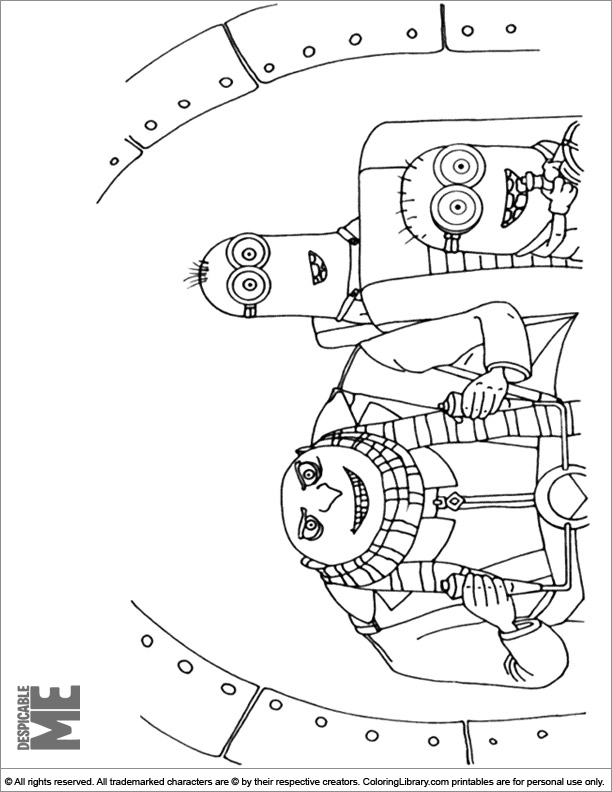 Go get your crayons and print this great Despicable Me free coloring sheet for great coloring fun! Kids love it when you color with them, print this Despicable Me free coloring sheet, have fun together and help your child color this fun sheet. Coloring Library has selected these Despicable Me coloring pages for you, print them all.